The Copenhagen tapes were re-released by Joe Boyd's Hannibal label in 1991, though Joe selected different tracks and takes from the vaults in a package tailored to fans of Sandy rather than the Strawbs. Pickwick's original version to my ears is a much better piece of work, despite its rough and ready edges. See All Our Own Work. All Our Own Workhas been bootlegged by a Spanish company Rockeria Estrella, based in Denia, near Alicante in Spain. See All Our Own Work bootleg. Bonus tracks included there come from this release. 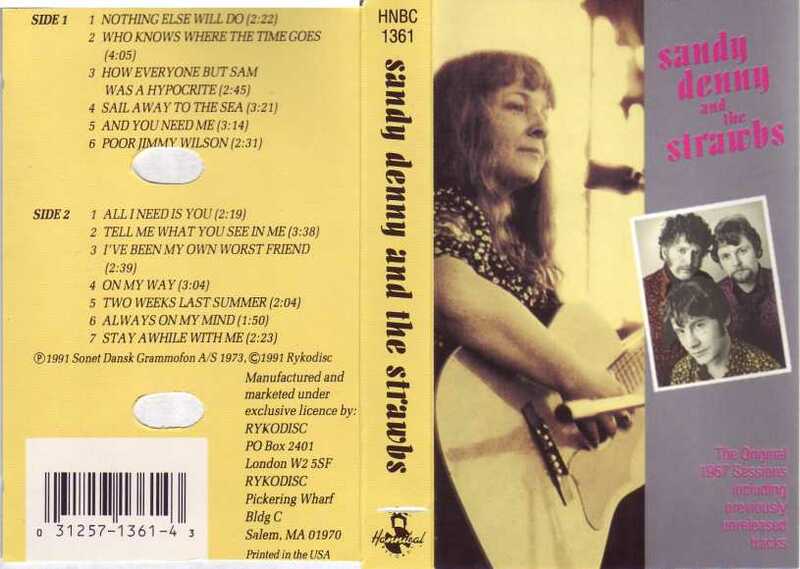 In 2010, Sandy Denny & The Strawbs - All Our Own Work: The Complete Sessions was released legitimately on CD from Witchwood Media, with bonus tracks and unreleased material, and Japanese Airmail Records have produced a facsimile card sleeve edition.. In 2014 a vinyl 2LP version of the CD was released under licence by vinyl specialist Numerophon. Please see Complete Sessions page. NOTE: a number of these tracks were recorded at different times - some of the above players played on the Copenhagen sessions, but may not have played on all tracks. Vinyl: HNBL 1361 (Hannibal, 1991). Until very recently I believed that this had only come out on CD - not true. Single sleeve with photos of Sandy and Strawbs, including early tinted shot of Cousins, Hooper and Chesterman and live shot of Cousins, Chesterman and Sandy, presumably live at the Tivoli Gardens in Copenhagen. Sleeve notes by Dave Cousins and Joe Boyd. Inner sleeve has large b/w reproduction of intended cover for "All Our Own Work", Hannibal catalogue with cover shots on other side. Cassette: HNBC 1361 (Hannibal, 1991). 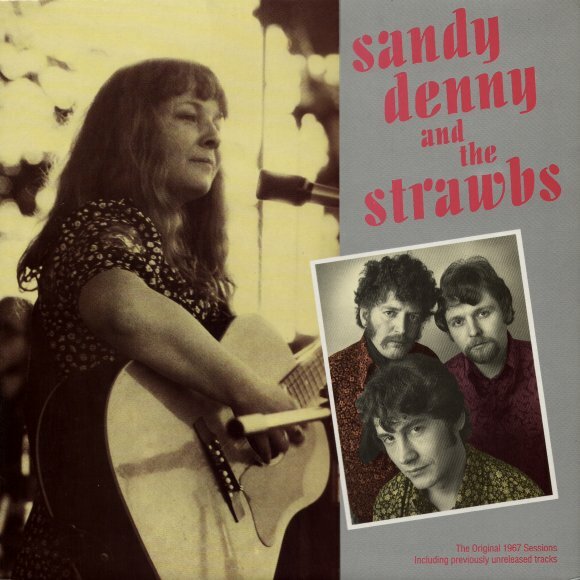 Front cover is a detail of the album picture of Sandy, with the retinted b/w picture of the Strawbs. The inner flap folds out to give you the sleeve notes, credits and the picture of Sandy and Dave (great collars, Dave) and Ron in the background playing live. CD: HNCD 1361 (Hannibal, 1991). Same as vinyl album, more or less: "All Our Own Work" cover inside front of booklet; live "Tivoli" shot is centre spread (larger than on LP cover).